Rule-making is no longer an activity undertaken exclusively by public actors. Private actors are increasingly allowed by legislatures and regulatory bodies to take part in (and in some cases assume responsibility for) the formation of legally binding rules, for example in the US, UK, Australia and the EU. Departing from traditional forms of rule-making by involving private actors may enhance the ability of regulatory systems to achieve social goals, as regulatory scholars argue. However, because private actors are permitted to act in their own best interests, their involvement also raises doubts about the legitimacy of the underlying rule-making processes and the rules that are formulated. 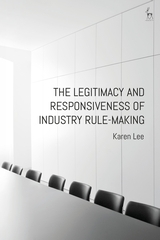 The principal aim of this book is to highlight that the tension between the responsiveness that leading international regulatory scholars advocate in order to improve regulatory effectiveness, and the law and its formal, substantive, procedural and institutional values, is not as great as may first appear. Drawing on three in-depth case studies of the experience of the Australian telecommunications industry with self-regulatory rule-making – a form of rule-making that bears the hallmarks of 'responsive regulation', 'democratic experimentalism', 'smart regulation' and other strategies of proceduralization – it is argued that industry rule-making can, as a matter of practice, be responsive and legitimate at the same time. 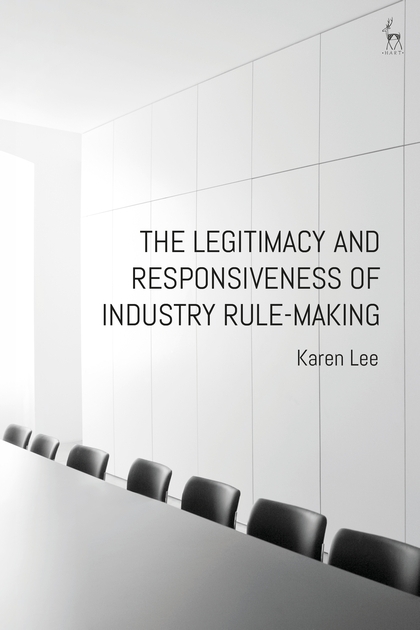 In doing so, the book formulates and applies criteria against which industry rule-making should be evaluated and identifies a number of indicia that point to when industry rule-making is likely to be simultaneously legitimate and responsive. Karen Lee is Lecturer in Law at the University of New England, Australia.